Katrina’s highest storm surge, some 27.8 feet, was recorded at Pass Christian, Miss. 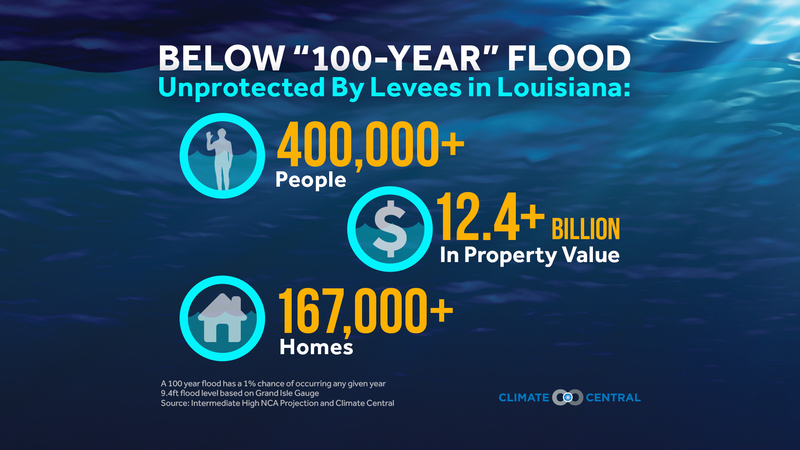 While in New Orleans, a surge from 5-10 feet piled up along the western shores of Lake Pontchartrain, straining the levee system until parts of it gave way, eventually inundating about 80 percent of the city in waters that reached up to 20 feet. 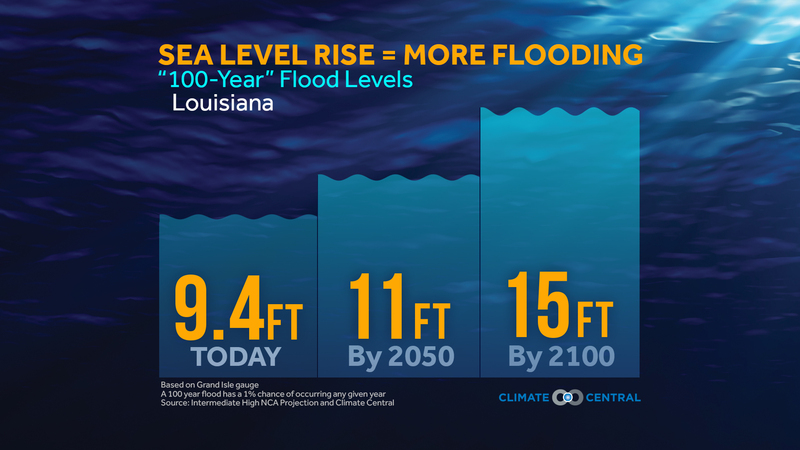 A 2013 study found that surge and flooding from Katrina was anywhere from 15-60 percent higher than it would have been under the climate and sea level conditions around 1900. 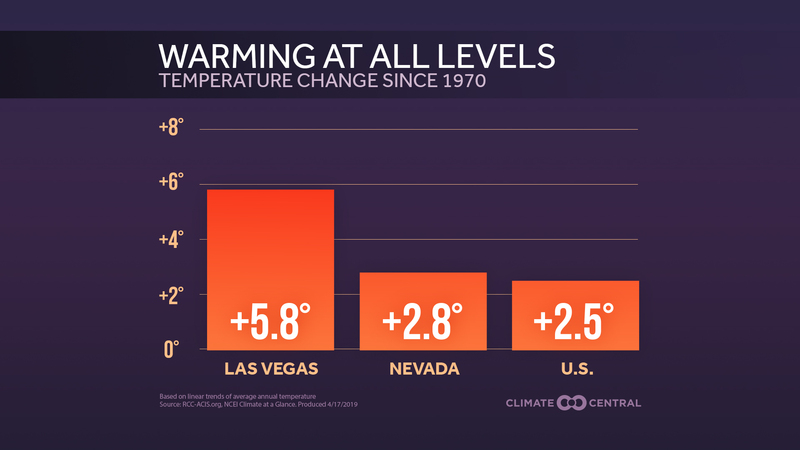 This was primarily from local land subsidence, which accounted for about 1.8 feet of an estimated 2.4 feet of local sea level rise. 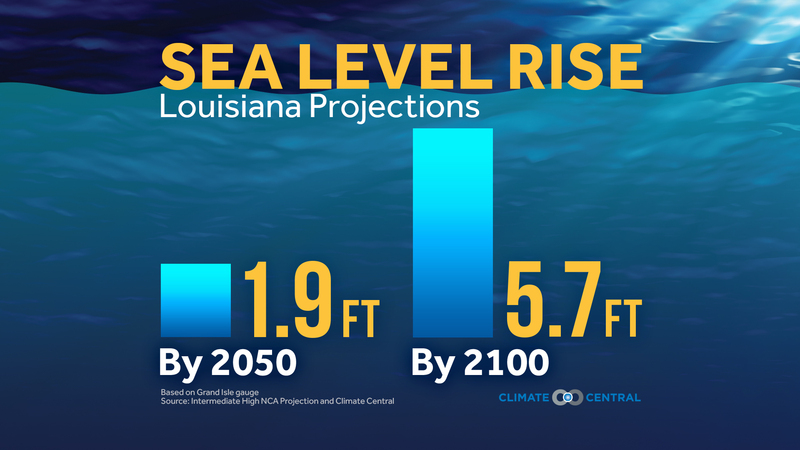 The graphics below show the projected sea level rise for this region, as well as the effect climate change and sea level rise will have on the likelihood of extreme flooding events. 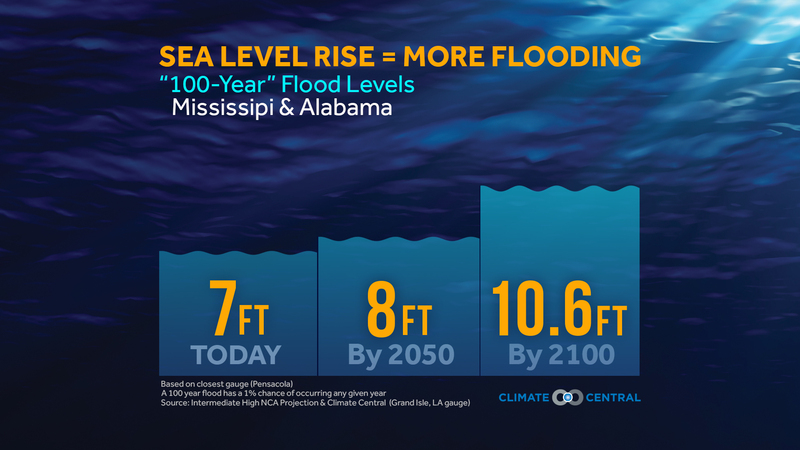 What is considered an extreme flood today (about a 1-in-100 year flood or 1% annual chance flood) can be severely damaging and is only going to get higher in the future with sea level rise. 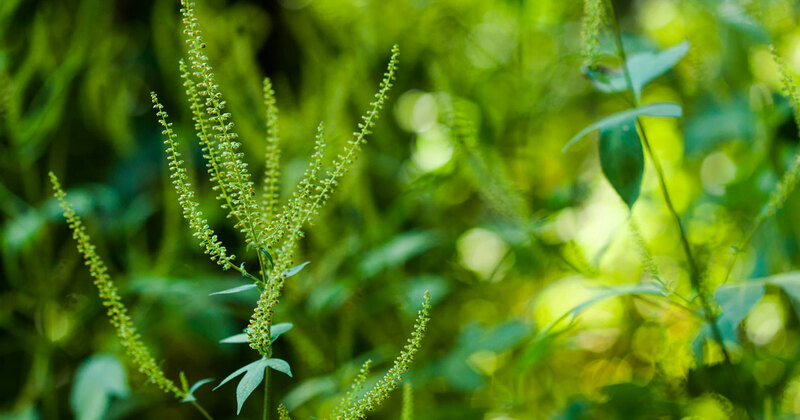 (Note: Katrina was even worse than a 100-year storm.) 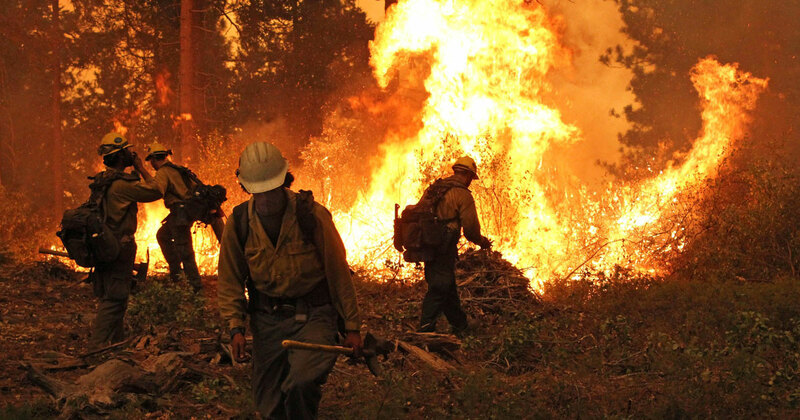 All of these calculations were made from the NOAA National Climate Assessment (NCA) mid- to high-emissions scenario. 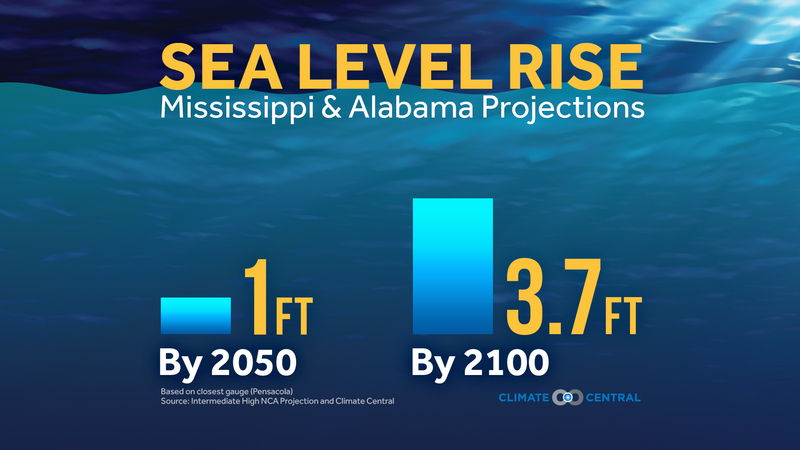 Coastal cities and towns all along the Gulf and East Coasts will be increasingly vulnerable to hurricanes because of sea level rise, even without any changes to the storms themselves.